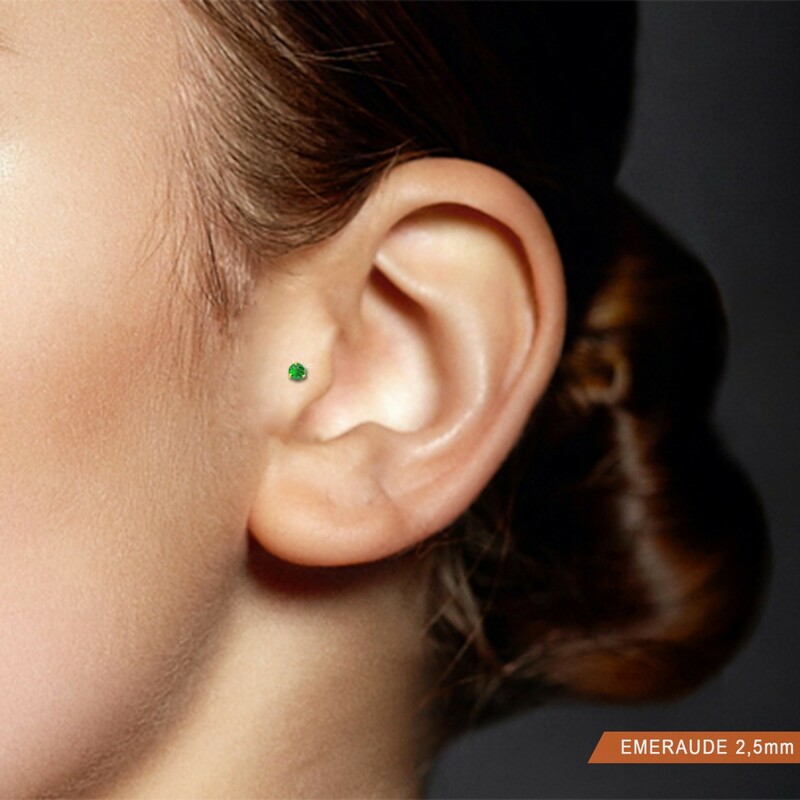 18 carats yellow gold emerald (0,05cts) piercing (tragus). 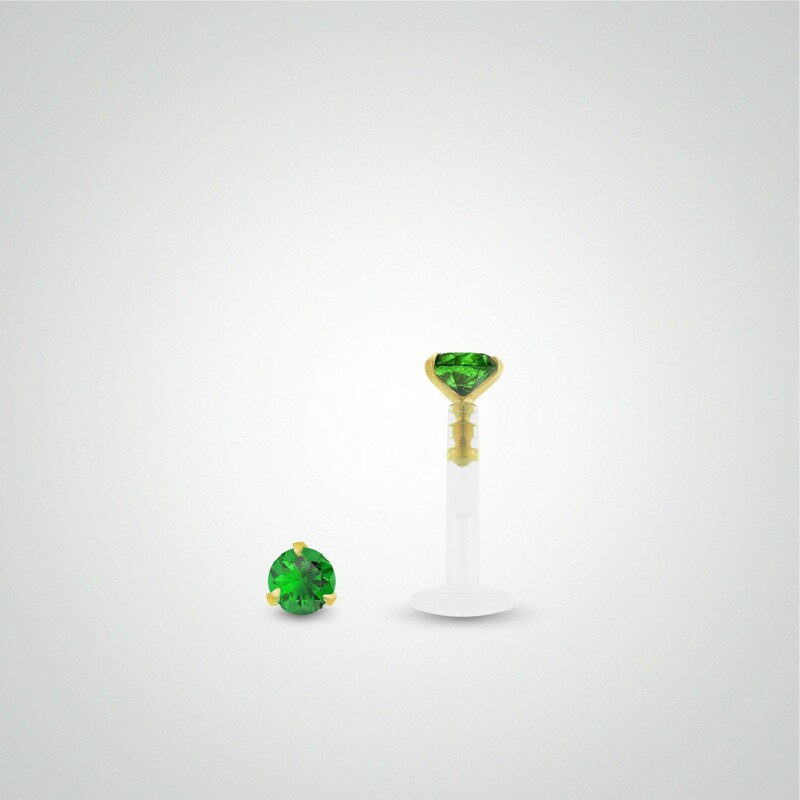 18 carats yellow gold and emerald labret piercing for the tragus. One claw-set emerald 0,05 carats.